James J. Sosnoski current research focus is on conceptual logistics—the study of the uses of research concepts. Sosnoski is the author of Token Professionals and Master Critics; Modern Skeletons in Postmodern Closets; and co-editor of Configuring History: Teaching the Harlem Renaissance through VR Cityscapes; as well as various essays on instructional technology, computer-assisted pedagogy, and online collaboration. With David Downing, he co-edited "The Geography of Cyberspace," "Conversations in Honor of James Berlin," and "The TicToc Conversations"—special issues of Works and Days. 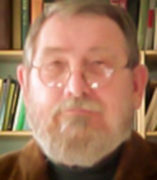 Sosnoski was the Executive Director of the Society for Critical Exchange (1982-86), the Director of the Group for Research into the Institutionalization and Professionalization of Literary Studies (1982-84) and Director of the Teaching in Cyberspace Through Online Courses project (1996-97). He has been a member of the MLA's Delegate Assembly, Ethics Committee, and Emerging Technologies Committee. He coordinated the Virtual Harlem project (1998-2004), an instructional technology project using virtual reality scenarios. Based on Cognitive Linguistics, he developed Configural Discourse Analysis. He is the President of the Society for Conceptual Logistics in Communication Studies (SCLCR).